It all started when I grumbled to a friend about the non availability of a good brand of locally made couverture chocolate that could be used in confectionery and pastry. Imported ones are available but cost an arm and a leg. That friend was L. Nitin Chordia, India's only certified Chocolate Taster. Within the next 10 minutes, I got a call from Morde Chocolate, Mumbai, telling me they would send across a bar of 55% dark chocolate for me to experiment with. Fast work, Nitin!! Morde was as good as their word and in due course, a bar of 55% dark couverture was delivered. I used the chocolate on a cake, loved the finish as well as the taste and mailed a picture across to their marketing team. A day later, they called to say they would send across a chef who would demonstrate a few desserts using Morde chocolate, fillings and chips. All I had to do was bake them a sponge cake. Really? Chef Krishnamoorthy, Morde's senior culinarian created some artwork that morning at a 3 hour demo class for a trio of us. A self taught patissier, it was amazing to see the way he worked, whether it was doing something as mundane as chopping up a block of chocolate to melt it or slicing the sponge cake into layers and decorating it. At the end of 3 hours, we had 3 kinds of desserts, cake pops and a tray of coffee filled chocolates that looked as shiny as little beetles. Along with the 55%, he had also used a 70% couverture. 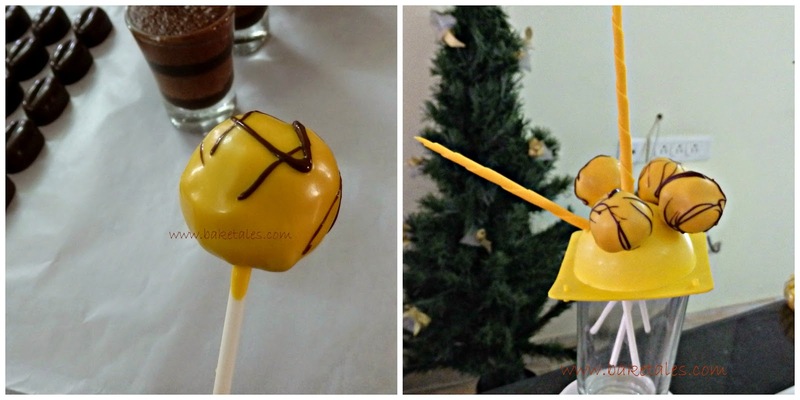 The chef also showed us a quick way of making chocolate fans, scrolls and spirals with mango flavoured compound chocolate. 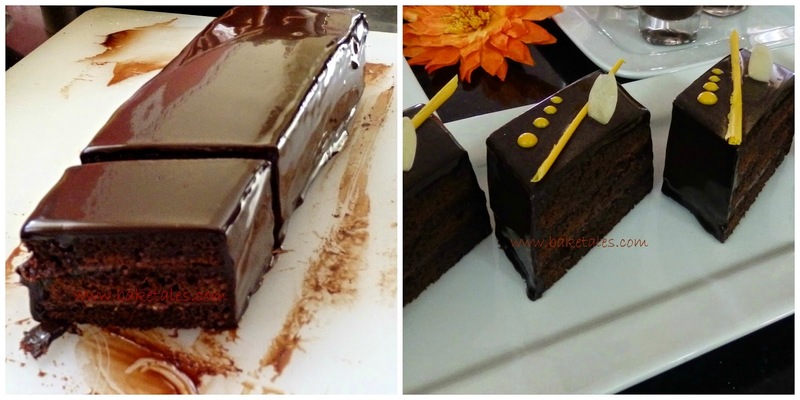 Morde has a range of cake and chocolate fillings that include hazelnut, coffee, plain dark and coconut which I loved. They also have chocolate coated raisins, butterscotch and chocolate coated crispies. Which is a good thing as that's just what you need to add the finishing touch to your dessert. How did it all taste? Just one word - fabulous. Watch out for the class announcement on the making of these bites of deliciousness. The pictures are lovely Sara! And so well written. Thank you so much for making me part of this class. Enjoyed every bit of it! So glad to have had you at the session, Smitha. Parul, all my classes are at Chennai. Hi Mam, It looks great and yummyy. Awesome work. This is very impressive for every chocolate lovers like me. Thanks for taking time to share such a beautiful post. Keep blogging Mam. Hello Sara, thats a lovely writeup and pics! I have just bought morde 45% chocolate. For tempering only the table top method works? Or seeding will do? Please guide me. Hi! I haven't used Van Houten, is it within the expiry date? It sounds as if the chocolate is not getting tempered properly. Worth investing in digital thermometer. I too have trouble at times with the seeding method. Hello Sara, where do u get to buy Morde 55% chocolates?